Modern, functional, fire pit table. 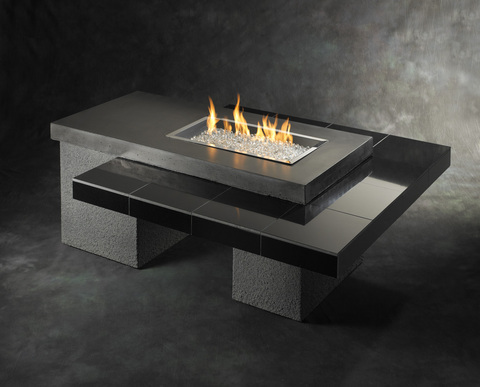 A modern look in granite and stucco, the Uptown fire pit table is designed with clean, simple lines, and engineered to showcase a stunning glowing fire that is sure to heat up your outdoor space. This two-tier table is functional as well as beautiful and makes for a perfect area to entertain.